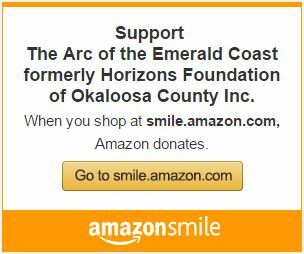 The mission of the Arc Angels program, in partnership with the Horizons Foundation, is to firmly support and protect the mission of the Arc of the Emerald Coast, “Providing a path from disability to capability”. By committing to donate $1,000 per year for 3 years, the Arc Angels, as an entity, can fill the gaps between income sources and costs related, and will provide security for whatever is desperately needed at the time. Whether it is construction projects to be completed, a buffer created or any other need, as deemed jointly by the Horizons Foundation Board and the Arc of the Emerald Coast Board, the Arc Angels make it happen!  The Arc of the Emerald Coast serves over 450 men, women and children in Okaloosa Walton and Santa Rosa counties with cognitive, developmental and intellectual disabilities such as Down Syndrome, Cerebral Palsy and Autism, since 1974. Many of our clients have no one but The Arc. Whether given up at birth, abandoned or simply trying to live in an adult world with the mind of an 8 year old, they are alone. Many parents, facing their own mortality, sent their adult children to us, and these people will be with us for life. For those fortunate enough to have families, our services are as desperately needed by the caregiver as they are by the person with disabilities. Depression and isolation are a real issue among caregivers. Persons with these disabilities are never going to get better; there is no miracle cure on the horizon. A person with intellectual disabilities is a “forever child”, and will need care for their entire life. The Arc of the Emerald Coast is here for them all. Our vast and varied services are designed to provide all levels of care, focusing on our clients ABILITIES, not their disability. We also focus on respect, choice for all and encourage active citizenship and inclusion in every community. Whether it is learning life skills, finding a job, or simply to develop friendships and socialization skills, we are here, 24/7. Families can get desperately needed respite and have a life of their own, all while knowing their family member is in a safe and caring environment.